The war in Syria is in its fifth year and it is estimated that 230,000 people have died in the conflict. I would like to read The Crossing by Samar Yazbek, which has been described as an eloquent, gripping and harrowing account of Syria’s decline into barbarism by an incredibly brave Syrian exile living in Paris, named Samar Yazbek. During the summer of 2012 Yazbek crossed into Syria through a gap in the fence from Turkey three times over 12 months and found herself back in her homeland. This was the first of a number of dangerous clandestine trips to the North of the country, where she set about documenting the struggle of men, women and children simply trying to stay alive. On her final crossing an audience was secured with Abu Ahmed, an emir of Ahrar al-Sham, a rebel jihadist group based in the northern part of the country. Samar asked Abu Ahmed what he expected after the revolution. There will be laws to protect the non-Muslims, the Nasara – the Christians. It will be unlawful for women to go out without a hijab. Appearing unveiled will be prohibited; that’s the most important thing. The Alawites can’t stay in Syria…. If the Druze and Ismailites return to Islam then they are welcome, and if they don’t, they’ll be judged as infidels, but the Alawites are apostates and must be killed. She also met the local Al-Qaeda affiliate Jabat al-Nusra. What made these exchanges remarkable is that Samar is both female and, although a supporter of the revolution, an Alawite like Assad. It was brave of her to enter Syria in the first place but, as an Alawite woman, to seek to meet and directly challenge jihadist leaders is almost suicidal. It also underlines the dangers of the sudden collapse of Assad’s regime rather than a negotiated transition. Shia and Alawite minorities have every reason to fear. Like many Syrians, she despairs at the paradox of the liberation of great parts of Syria from from one authoritarian regime -Assad only to be replaced with another -Jihadists. Such reporting on the war in Syria is all too rare – it has taken two years for this “dispatch” to emerge and it is testimony to the appalling reality that is Syria today. Piet Mondrian returned to Paris in 1919, and set about making his studio a nurturing environment for paintings which expressed Neo-Plasticism. 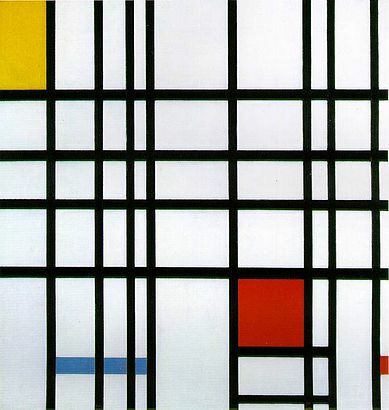 In 1943, Mondrian moved into his second and final Manhattan studio. Tragically, he was there for only a few months, as he died of pneumonia in February 1944. He is interred in the Cypress Hills Cemetery in Brooklyn, New York.On February 2, 1944, a memorial, attended by nearly 200, was held for Mondrian, at the Universal Chapel on Lexington Avenue and 52nd Street in Manhattan.